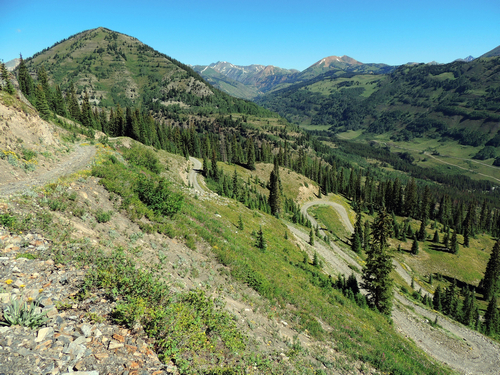 This is a great Jeep trail close to Crested Butte. 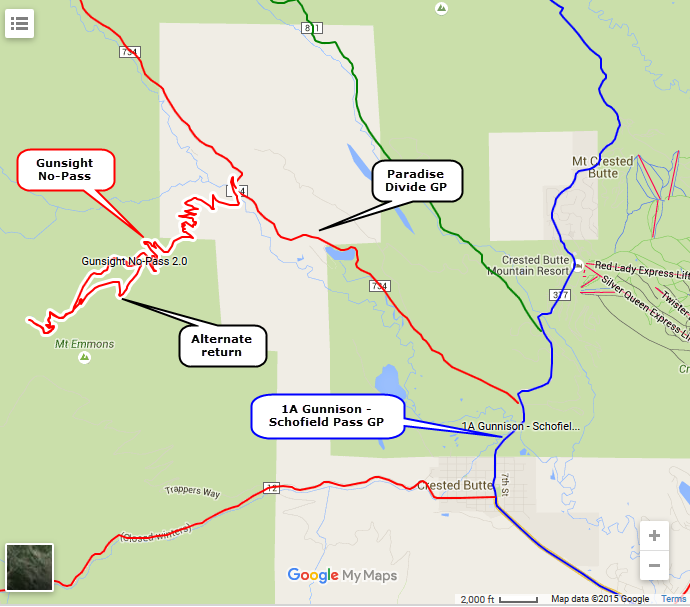 The actual name of the trail is Gunsight Pass, but since access to the pass is no longer allowed I renamed it. 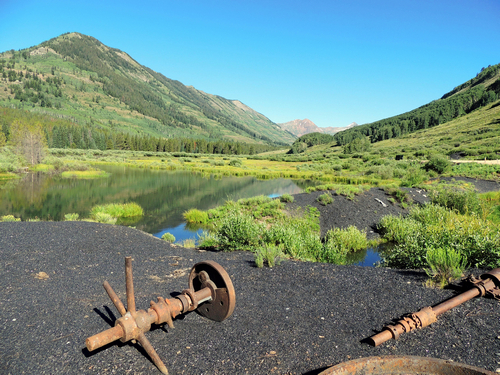 The first thing you see after leaving Paradise Divide Road is piles of coal left behind from the Smith Hill Mine which operated from 1884 to 1929. 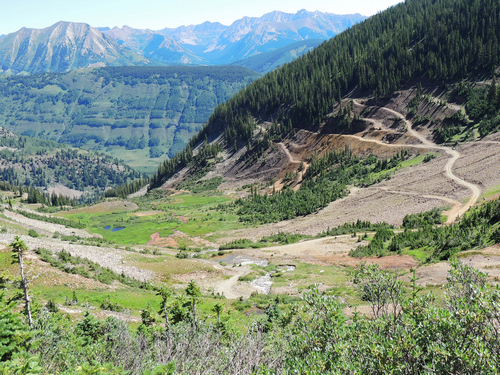 The Crested Butte Land Trust and the Colorado Division of Reclamation Mining and Safety are working to revegetate and stabilize the site. As you reach treeline you will climb an interesting set of switchbacks. Not at all difficult. When you come to the fork in the track, stay low and to the right. 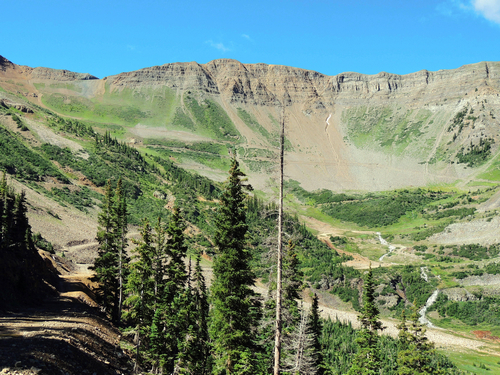 It will not be long before you view Redwell basin. View the pass from where the road is closed. Head back down by climbing up through the Daisy Mine. This alternate route is a bit narrower, but no more difficult. 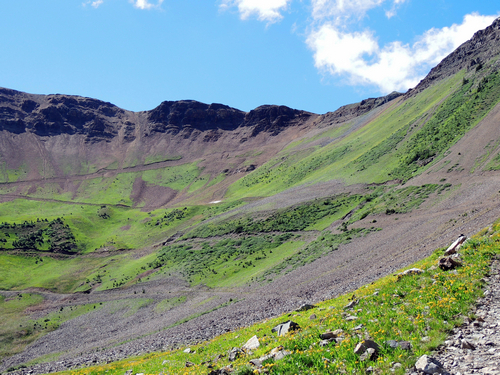 There is one multi-point switchback in the mine area that makes Black Bear Pass switchbacks look easy. Very sharp, but there is enough room to make it. A spotter helps.